Guaranteed Comfort Heating and Cooling of Windsor, has over 25 years of expertise installing and repairing all makes and models of air conditioners and furnaces in the Windsor / Essex County region. We also offer emergency furnace repairs, preventative maintenance plans, and have the experience and expertise to tailor your heating and cooling system to your specific needs. For dependable and affordable home comfort year round call Guaranteed Comfort. 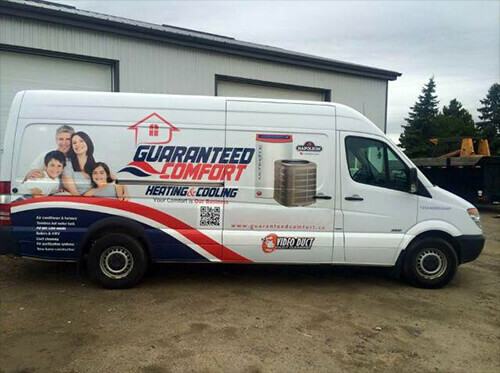 Guaranteed Comfort has built a reputation in the Windsor area for providing our customers with top quality, high-efficiency equipment, combined with dependable service. We also sell central air conditioning, high-efficiency air conditioners, high-efficiency furnaces, water heaters, boilers, air purification systems, and other home comfort products, all backed by solid warranties. Giving you peace of mind in your heating and cooling systems for more than 50 years. Guaranteed customer service, affordability and top quality equipment. © 2019 Copyright Guaranteed Comfort Heating & Cooling. All Rights Reserved.